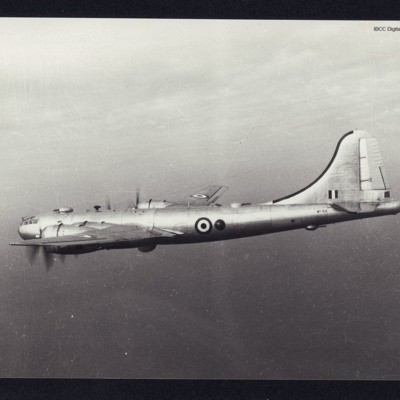 Air-to-air view of B-29, serial number WF491, in flight. Side, slightly rear view of Stirling Mk 3 XY-T EH906 on a dispersal. Wheel chocks, one access ladder and a stepladder are visible. In the background, Nissen huts, drums and bicycles.